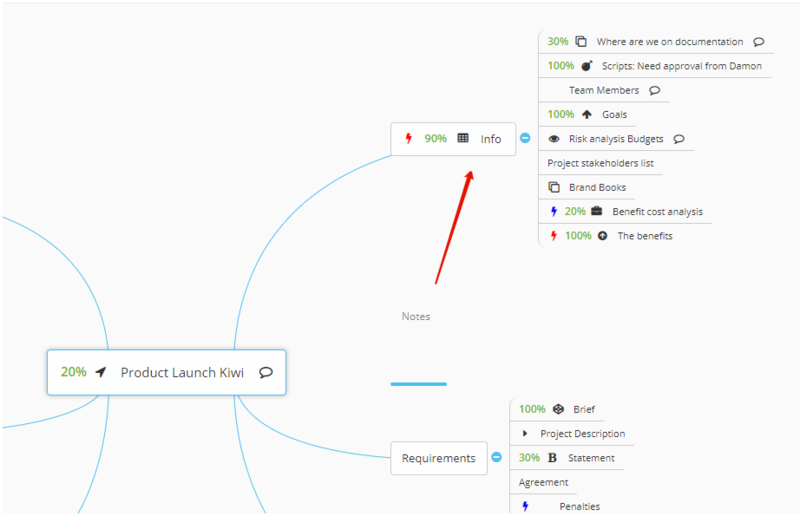 To create a mind map in the system you need only three steps. Step 1. Install the application "Mind Maps". 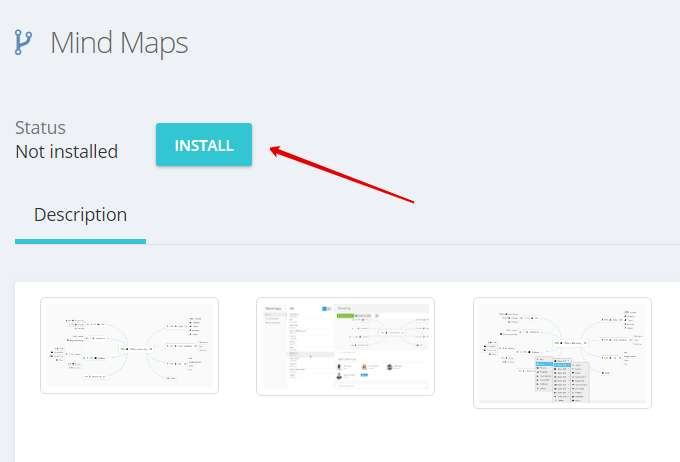 After installing the application, the window for creating a map will open, and the "Mind maps" section will appear in the menu. 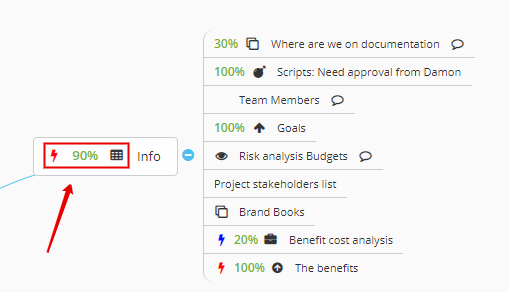 This can also be done in the profile of a specific user. 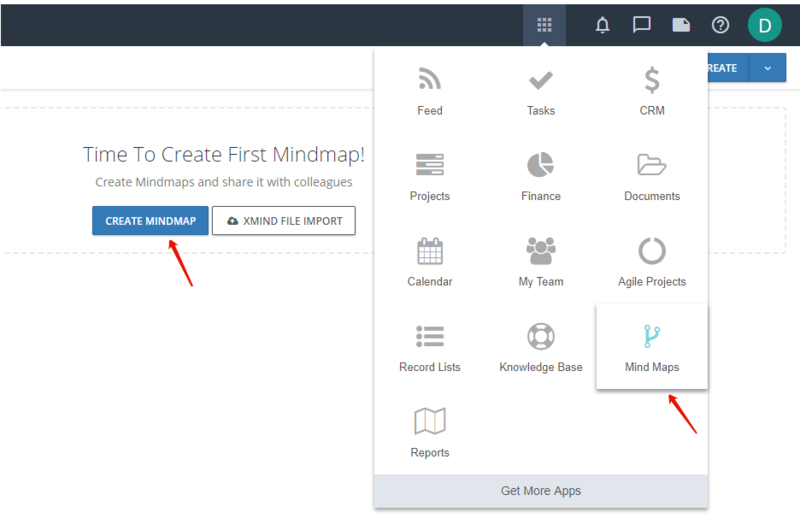 You can import a previously created mind map from XMind 8 Pro. 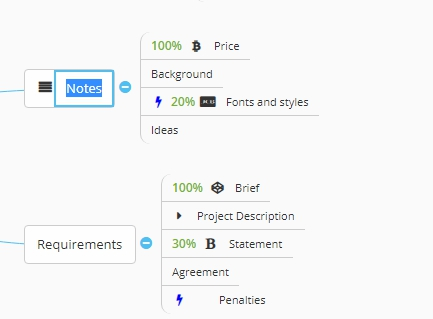 To do this, go to the application Mind maps and click on the appropriate button. 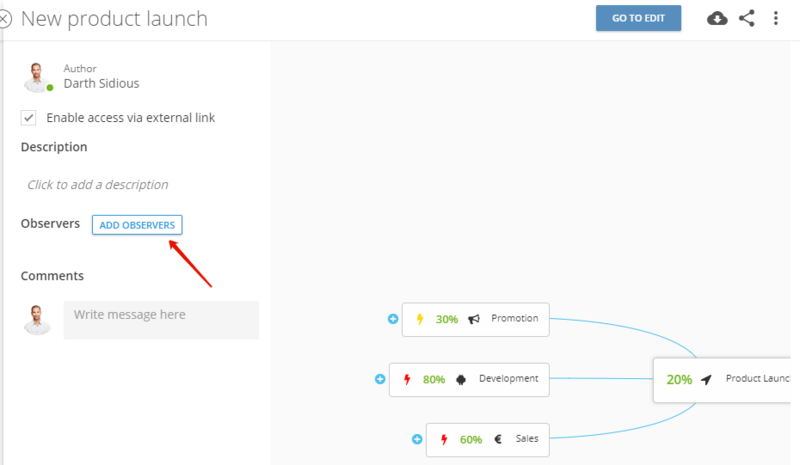 To add a map in Flowlu, click on the Create button. In the sidebar that opens, enter the map name (1) and description (2). If necessary, immediately open access using the external link (3). Write the keynote or theme in the center and create a branch using the Enter key. To create a subsection, select the desired section with the mouse and press Tab key. 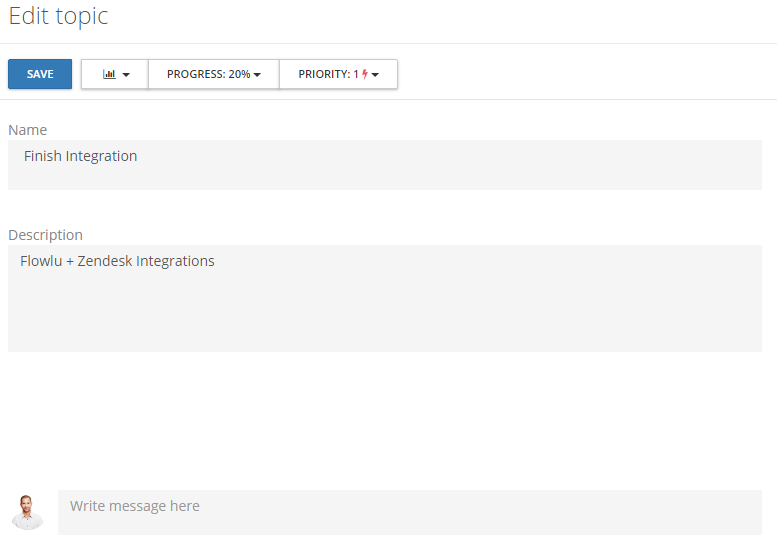 Also, a new section and subsection can be created by opening the menu with the right click button. delete a section or subsection. 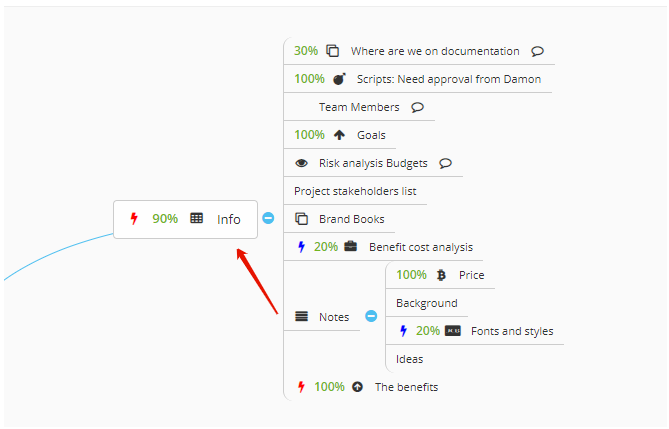 For each element, you can add a description, comments or files. 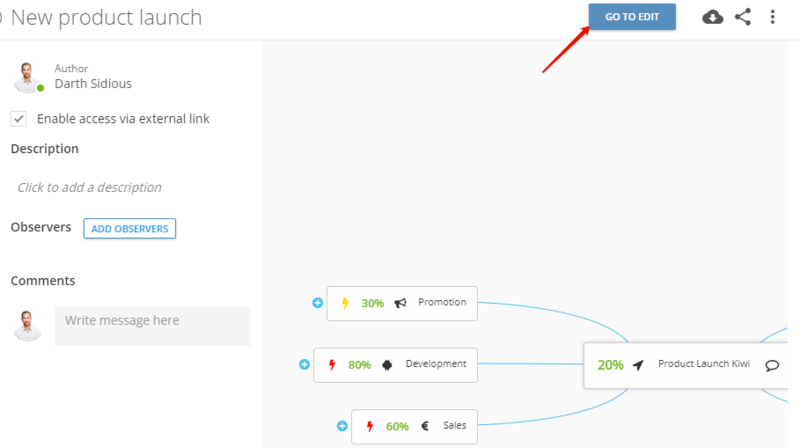 To do this, click on the desired element with the right click button and click the "Edit" button. Alternatively, you can double–click with the left mouse button behind the area with the element title. In the sidebar that opens, fill in all the necessary information and click the Save button or the Enter key. In order for your staff to be able editing the mind map on an equal basis with you, you need to add observers. After that, they will be able to edit the map. If necessary, here you can give an access using the external link (1) and send it for viewing to any person (2). How to proceed to map editing? 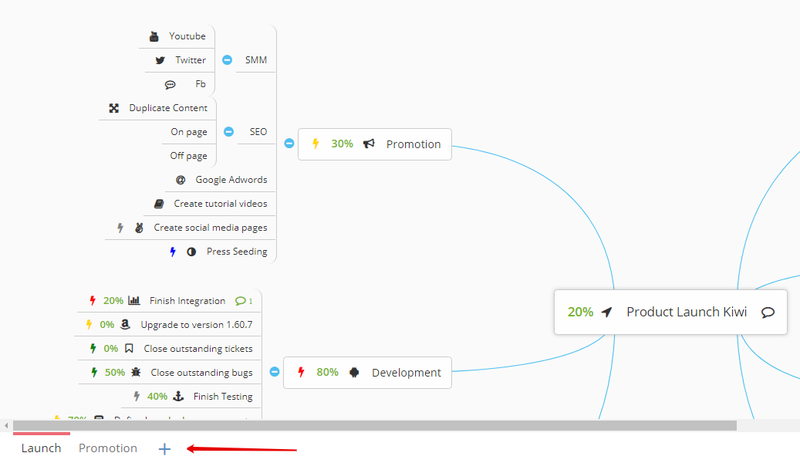 How to delete a mind map?